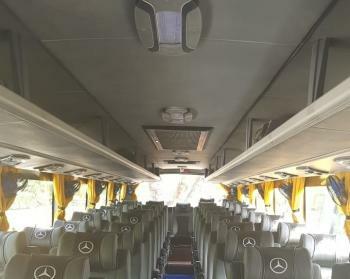 Those looking for affordable services for a coach on rent for Delhi NCR, the services offered by the New Delhi, India based Punja Sahib Transport Co are the perfect option. We have a large fleet of coaches like the mini bus, luxury bus, standard bus, premium bus etc., that are available for rent. Our coaches are fully-serviced and laced with all the necessary accessories to provide comfort to all the passengers. Contact us now to get quality coaches on rent at a competitive price for any type of travel in Delhi NCR.